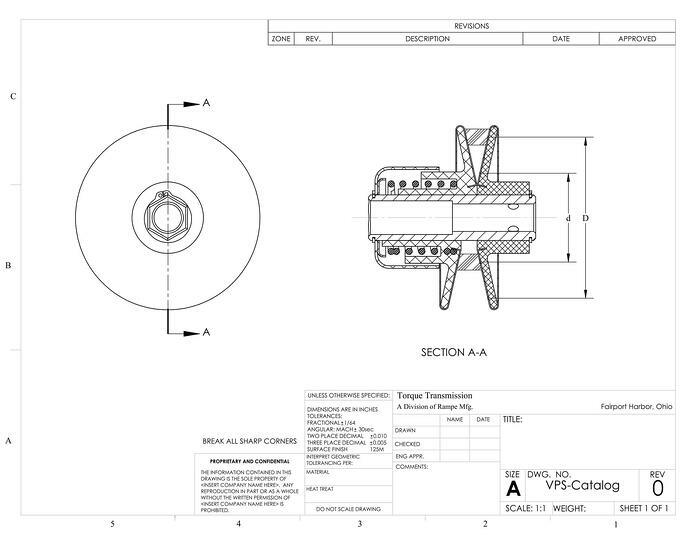 The first step in understanding how variable speed pulleys work is understanding what they are intended to do. 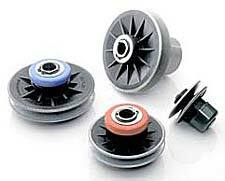 The purpose of a variable speed pulley is to change the speed of a rotating shaft. The revolutions per minute (speed) can be either increased (sped up) or decreased (slowed). The drive system requires two pulleys: the variable speed pulley mounted on the drive shaft and a fixed diameter pulley mounted on the driven shaft. The drive shaft is the power source, like a motor, and the driven shaft is the one requiring a speed change. A belt is used to transfer the power from the drive shaft to the driven shaft. How the variable speed pulley works: the variable speed pulley has one or two movable flanges. The flange is kept closed by spring pressure. There are two types of variable speed pulley systems. Movable shaft center distance: The motor, mounted on an adjustable motor base is moved, increasing the center distance between the two shafts the belt forces the opening of the variable speed pulley. As the two flanges separate the belt moves from maximum pitch diameter PD to minimum pitch diameter pd or any position in between. Fixed shaft center distance: A variable speed pulley is mounted on the drive and driven shafts. The driven pulley is adjustable and the drive pulley is controlled by a mechanical action that will open or close the pulley based on rpm requirement. As the driven pulley is opened, the driven pulley will decrease in speed and the opposite, as the drive pulley is closed the driven pulley will increase in speed. The speed range of variable speed pulleys is nearly infinite, within standard ratio limits. Our pulleys are designed for belt sizes from 1/4" V to 5/8" V and horsepower ratings from 1/12 HP to 1.0 HP, they are engineered to offer an economical alternative for many applications that may not require the expense of AC/DC variable speed motors and controllers. Torque Transmission manufactures nylon timing pulleys in a variety of standard size and custom sizes - All provide superior performance and economic design. Because our timing pulleys only require a minimal amount of belt tension to prevent slippage, the bearing loads on the driving shaft are greatly reduced. This post was published on September 25, 2018 and updated on September 25, 2018.